Summer is well and truly over. I know, I can feel it too. Before I start to welcome all things pumpkin into the kitchen, there’s still a bounty of local summer produce at the veg shop. I feel like I’ve got one foot in Autumn and the other in Summer. It’s a struggle to let go. I’ll have to wait a whole year for the next season of corn, tomatoes, berries, peaches, nectarines. So steady on with your pumpkins, is what I’m trying to say. There’s time for that yet! Anyway, sweetcorn fritters are one of my all-time favourites for using up what’s left of the corn still hanging around. 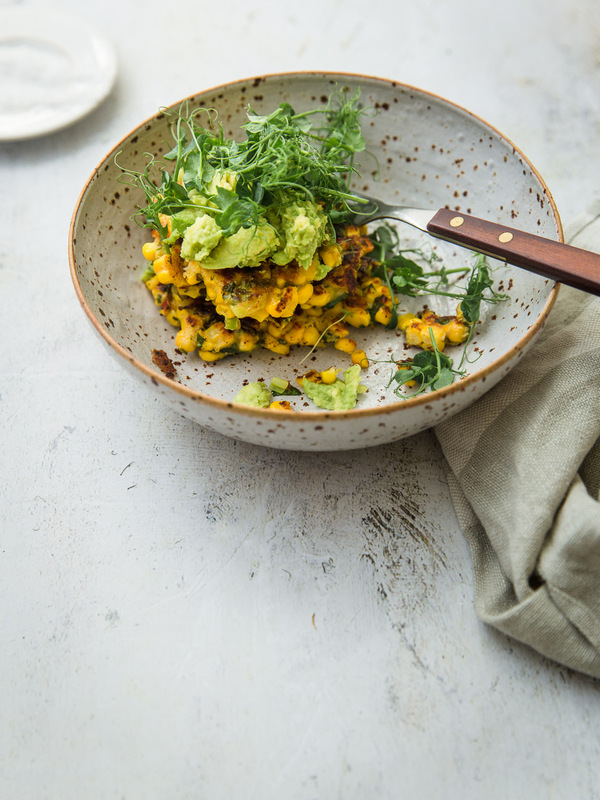 The world probably doesn’t need yet another sweetcorn fritters recipe but I can’t let that keep me from sharing my own. I’ve made these time and time again, all year round even. 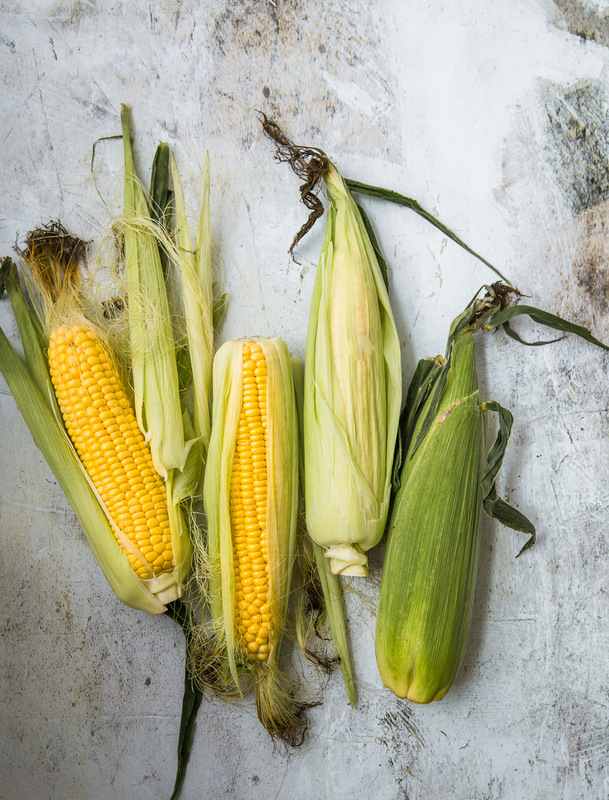 When the corn isn’t in season they work just as well with the tinned variety. Always with egg and avocado for me, but you can dress up however you see fit, of course. I do go a bit heavy on the spicing of these sweetcorn fritters. Hence, the avocado and the egg. Not just for pretty’s sake, they do mellow out the punch of chilli. Sour cream would be a nice addition too. 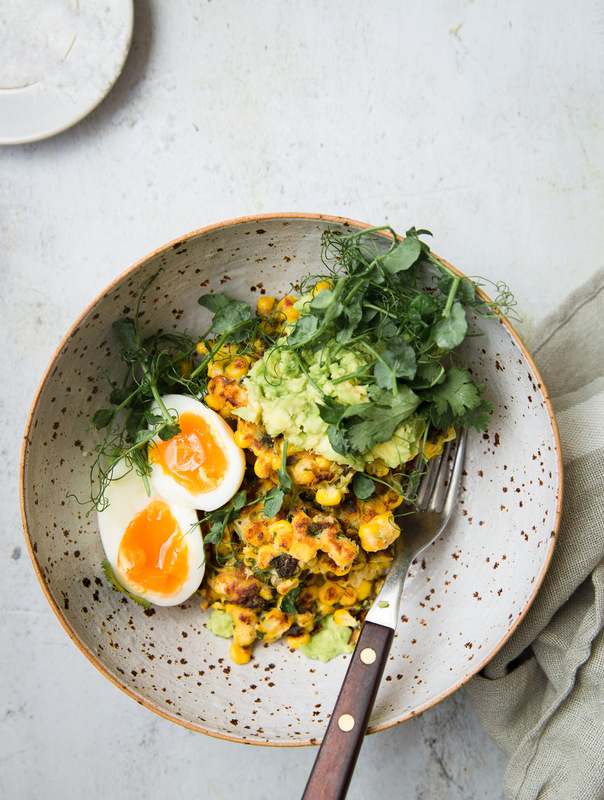 Put the sweetcorn, spices, onion, lime, coriander, eggs and flour into a large bowl with some seasoning and mix well. Loosen with a little water if the mixture is too thick, a batter like consistency will be suitably fine. Heat a large non-stick frying pan and add 1 tbsp oil. Spoon in small rounds of the mixture (leaving enough space for you to flip each one). Carefully flatten with a spatula and leave to fry over a medium-high heat. When browned on the underside, carefully flip over and fry on the other side for a few more minutes. Repeat until you've used all the batter up, you may need a drizzle more of olive oil as you go. Serve with soft boiled or poached eggs and avocado, if you like.